I was wandering around midtown Manhattan in September 2016, on the way back from “scouting” a planned tour in the Turtle Bay area. After finishing I walked downtown toward Penn Station where my chariot back home awaited. 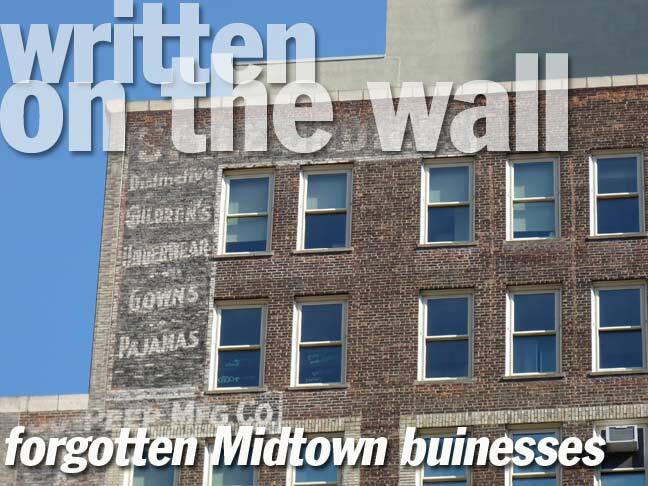 Walking down 6th Avenue I glanced left while crossing West 36th Street and spotted a zigguratted building, 70 West 36th, that was festooned with painted advertisements for long-defunct companies. Ads and signs like this are, or were, commonly found in Manhattan’s Garment District, where clothes are imported and distributed wholesale to dealers who then mark them up and sell to the public. After in many cases seven decades in existence, many of these ads are now finally fading into utter obscurity. Consulting the Indispensable Walter Grutchfield, I can report a little bit regarding these faded businesses. 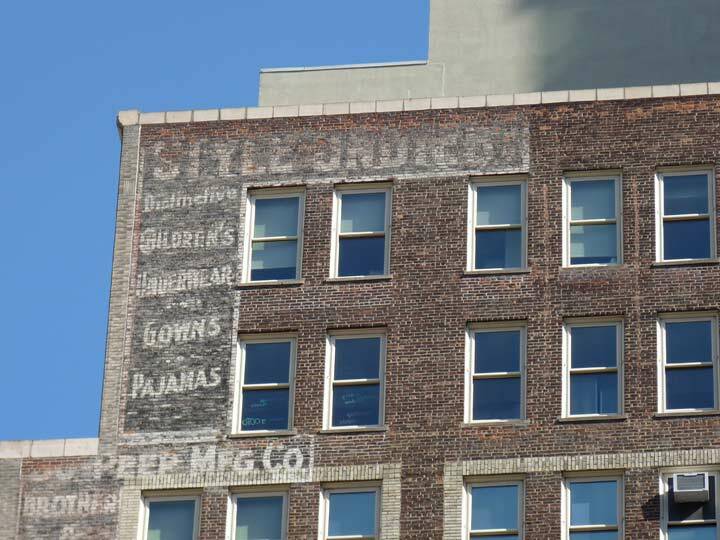 Style Undies [Distinctive Children’s Underwear, Gowns, Pajamas] was located at 70 West 36th from 1938 to 1957. 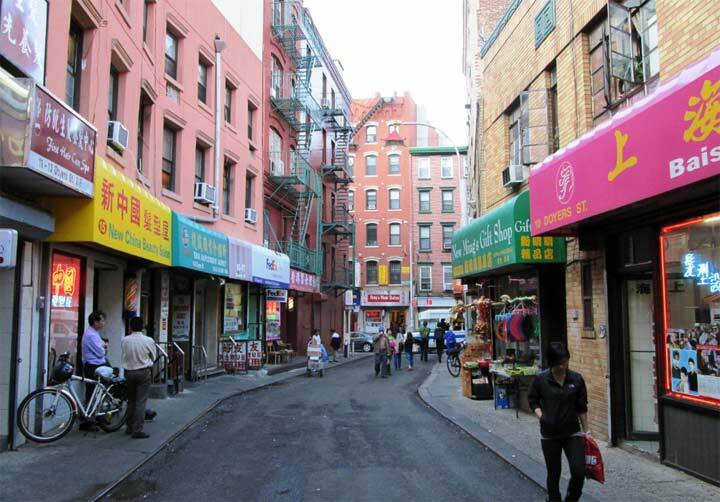 They then moved to 112 West 34th and stayed in business another 16 years. The Bo-Peep Manufacturing Company [Brother & Sister Individual & Companion Clothes, Play Togs] was similarly in business here until 1957. Like Style Undies, they moved to 112 West 34th in 1957 and remained in operation until 1973. 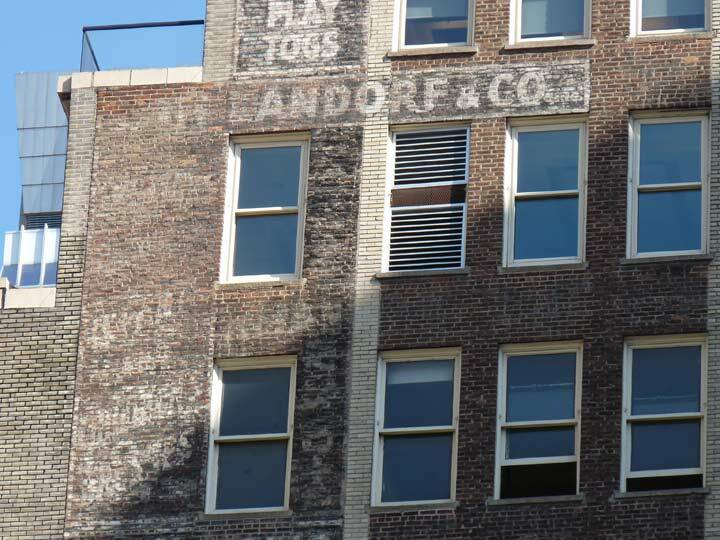 Only the name of Sam Landorf Inc., another children’s clothing manufacturer, is visible now. It, too, moved to 112 West 34th until petering out in the 1980s. The above three businesses may have had the same management. J.D. Sachs [Infants & Children’s Sportswear, Sizes 1 to 14], was at 70 West 36th between 1946 and 1970. 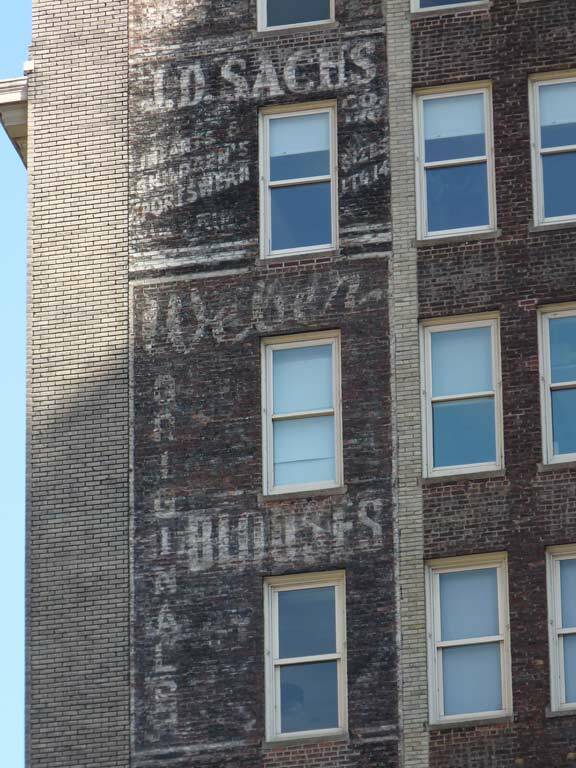 Weber Original Blouses was at 70 West 36th from 1948 to 1959. Eagle Blouse Company [Mfrs. 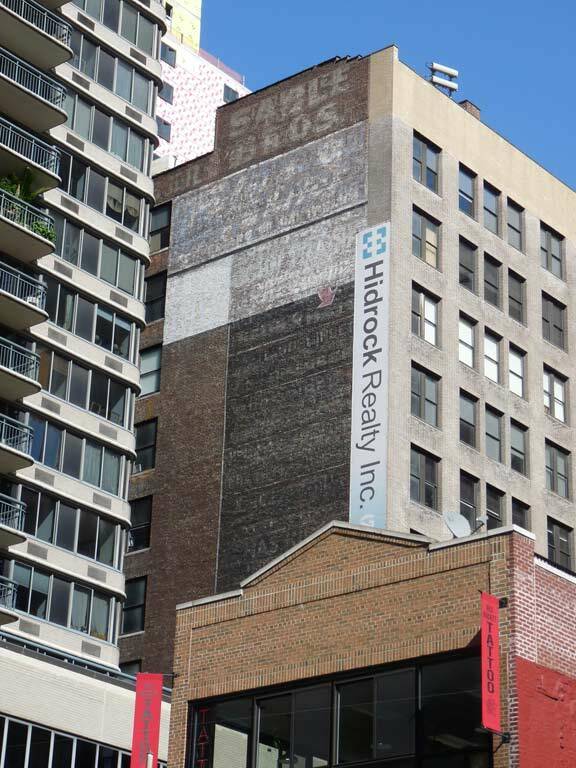 of Better Blouses] (part of the name is bricked over) was at 70 West 36th from 1938 to 1967. Alco Blouse Company [Mfrs. 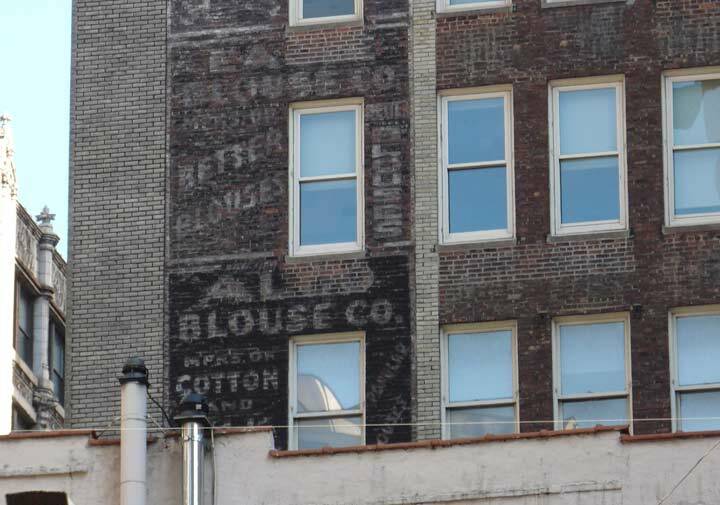 of Cotton and Silk Blouses] (part of the name is bricked over) was at 70 West 36th from 1938 to 1950. According to Grutchfield, there were ten Sable brothers, immigrants from Russia (what are the chances of a mother giving birth to ten straight sons?) and began various clothing businesses around 1902, arriving here at 63 West 36th in 1927 where they manufactured children’s hats. Sable Brothers remained in this location until 1973. Falcon Fabrics converted cotton to finished goods. It was located here between 1954 and 1976. 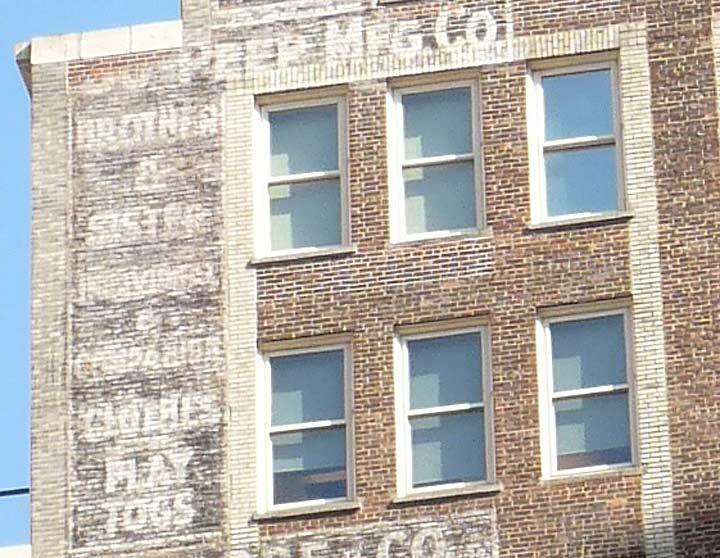 There are a few other painted ads below Falcon that sunbleaching has rendered illegible. None of these businesses survive, and all who ran them and worked for them are dead. Sic transit Gloria!